There have been 718 images uploaded to this topic. (View topic image gallery). There are 2769 posts in this topic. You are on page 55 of 56. Mine fails the tests even though voltage is going to it like it should, so I bought a replacement. I *think* that I need to remove the bolt in the center of the mounting bracket, but it doesn't want to budge. Any tips or tricks, or just keep cranking on it? UPDATE: I used my cell phone camera to see if there was something that wasn't visible (this thing has an opening that is facing away from you if you are trying to service it, and when I played back the video, I saw a small red blob on the bottom side of the washer. Sure enough, it looks like someone put a tiny drop of red loctite on there. WOW. I've owned my TOM since 1998, so either it was original (doubtful) or in the previous couple years, someone put some on there. So I grabbed my impact driver and carefully let it "hammer" loose the bolt. It worked. Cleaned off the loctite residue, and hand tightened the replacement back into place. Red locktite is factory there. Heat the bolt with a soldering iron for 5 min or so. The loctite softens enough to ease out the bolt if it's hot enough. Forcing it works for the most part but sometimes the head of the bolt will break off, then you are in real trouble. 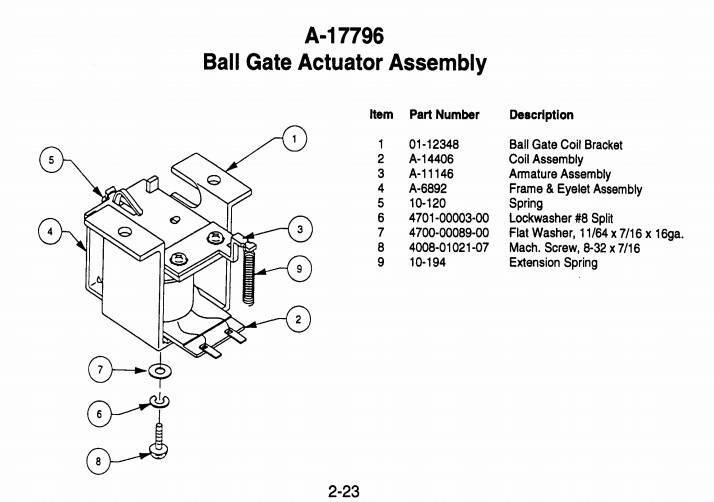 Interesting because the other assembly for the left up/down gate didn't have any locktite, and I don't recall seeing any elsewhere. Either way, I got it off. I used the same method you mentioned. I had the soldering iron right there anyway, so I used it to heat up the bolt and it came right out. Had the small spot of locktite been on a more visible part of the bolt, I would have started there first instead of posting. LOL Oh well, it is replaced and working well. Still seems odd to locktite something that has very little impact power (those coils aren't very strong), but being a bolt vs. a screw it could be possible. 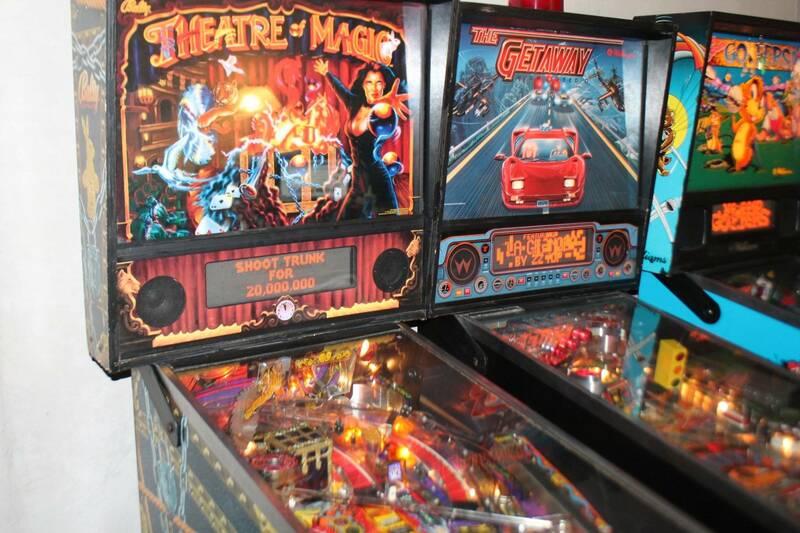 Been looking in all the normal pinball stores (plus lots of googling, ebay and such) and simply can't find it anywhere. Anyone got a spare lying around or know where to find one? They have been out of stock for a good long time, years in fact. Contact Cliffy, he was thinking of making some up. Also contact Kerry Stair (mantis amusements) see if he made some. Do I "need" the Trunk Opto Board based on Leon's Trunk Fix if I get the latest ROM 1.3x patch 5bc8? Is the trunk "fix" included in the ROM the same as Leons HW fix or do they fix different trunk issues? If I upgrade to latest ROM do I need to change security chip or something? My understanding is that the security chip only prohibit swapping boards with non-ToM boards and that there is no problems with just changing ROM version within the same game, correct? The Trunk fix in the latest software mod is not a software version of the Leon fix. It is a different solution where the Trunk will accept hits while rotating. The mod is based on the rev. 1.3X ROM. And share the same security chip as that one. Ah I see. The ROM fix seems a bit worse then, as you have to open the coin door to resolve it, while the HW solution seem to fix it more permanently without any hassle while playing. My current ROM is v1.2, do I need a new security chip for v1.3x ? My understanding is that the security chip allows any ROM version as long as it's a ToM game and no other pinball, or am I wrong in this? The ROM fix is in the latest version does fix the trunk error as reliable as the Leon fix. It prohibits the error and therefore no coin door opening is needed anymore. Imho it is better than the Leon fix, as it allows quick hits of the trunk while it is moving. This is a feature imho that is disabled by the Leon fix. I replaced the HW fix and go with the ROM fix, only. You should not need to change the security chip, you should be able to upgrade to 1.3x (with or without the trunk fix). No no no. You have some stuff in confusion here. The safety procedure for the Trunk is NOT removed in the modded ROM. It is in operation just as the factory ROM. And consist of two constraints. A. The Trunk must meet a time constraint as strict as 1.2 sec. from one home position to the next one registered. To prevent damage to the motor/gear in case of a stuck ball pinched by the Trunk. B. The final position must be reached in no more than four home positions registered. To prevent damage to wires/connectors in case of broken home position switches. The problem was an imperfection where A) could trigger a false positive, when the Trunk was changing direction of rotation midway between home positions (Start illusion). And this has been fixed. It will not occure now. The open coin door to reset options is for genuine Trunk errors on stuck balls. By this you may resume a competition game as it was. Normally games have a single security chip for each model. That is used across all software revisions. But TOM has a special one for the rev. 1.4 only. No, confusion. I did not say it removes the safety feature, but the wrong detection of a block. So the error prohibited in my description is the false positive. My reply was to Lhyrgoif. You beat me to it. Oh. sorry. Got it, now. 1. Will installing ROM 1.3x patch 5bc8 suffice to completely remove the trunk problems? 2. If I install ROM 1.3x patch 5bc8 will adding Leons HW board improve anything or is it completely redundant? Any problems having both fixes installed at the same time? 3. If I have access to both the SW and HW fix and should only use one of them, which one is the best solution? 4. On ROM v1.2 now so upgrading to 1.3x patch 5bc8 should not affect my security chip right? 5. Why isn't this SW fix in 1.4 home ROM too? Normally I like to use the latest versions available, but seems it isn't the best option right now. 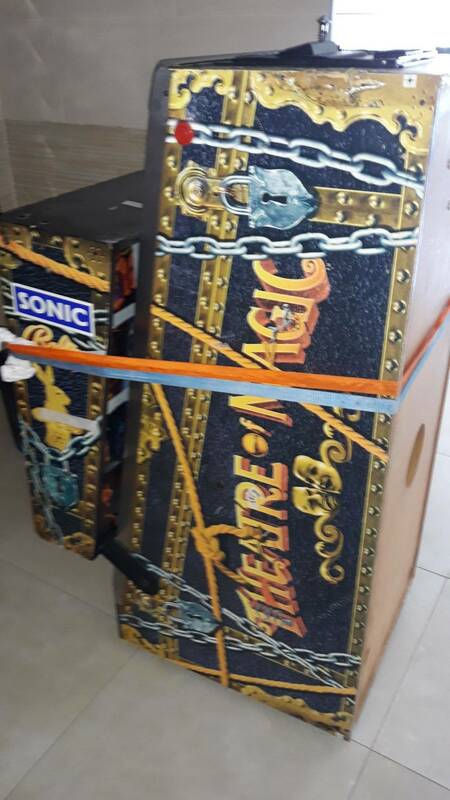 Nothing will COMPLETELY solve trunk issues but between the upgraded boards and updated rom your trunk should be as good as it can possibly be. I run 1.4H and the Leon board and have never had to open my coin door for a trunk issue. It can get wedged in but sorts itself out. If you mean the problem of the Trunk being marked "error" and disabled by the software on false grounds, then yes. The software is a sufficient solution to the problem that the hardware solution adresses. The hardware solution prevents the Trunk from registering hits while rotating. The software solution will allow these hits, and prevent the false error state that could occure in the previous revs. 1.4H is not as much the latest version as it is a special version. With very limited usage. A requiring a new security chip. Thanks for the clarifications Soren, I really appreciate it. Is there a way to turn off the music only during game play? Long story that I can share later. There is a adjustment "minimum vol control". A1-28 to turn off sound. 1.4H restricts you to free play only, enables the motor control for the spinning tiger saw, and supposedly fixes a bug or two. I have both ROMs, honestly both have crashed on me in different conditions, I don't think it matters. I like my spinning tiger saw so I keep 1.4H installed with the Ingo board. No one has ever noticed the trunk not registering hits while turning. The new ROM is a tournament ROM. I'm not sure everyone would want the changes it brings with it... Perhaps you can shut off those changes? Yeah I definitely register hits while spinning with 1.4H and the Leon board. I just checked. 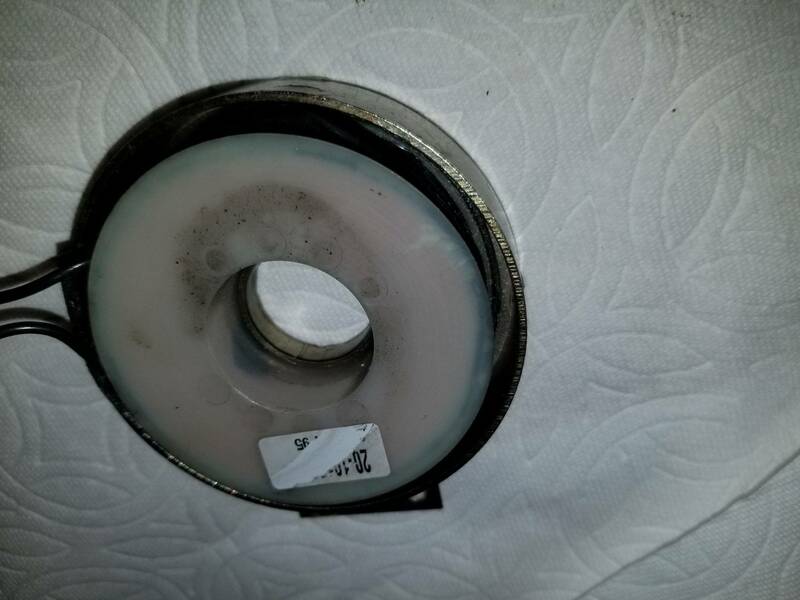 So I was rebuilding the pop-bumpers today, cleaning, fitting new skirts and so on (I hate fixing those bumpers) and noticed that one of the coils wrapping paper looked brittle, wrinkled, the white paper is brownish and the coil text was REALLY faded as I could hardly read it. I thought it must have been crispy hot and was thinking of ordering a new coil but I decided to have a closer look at it first as the bumper 100% did work before I started cleaning it. It does look like the coil is an original from when the machine was built, ie ~27 years old, but it does work. The outside looks like crap though, and now I'm on the fence on what to do; keep it and risk future failure due to age or just replace it? What would you do? I would replace it. Better safe than sorry! 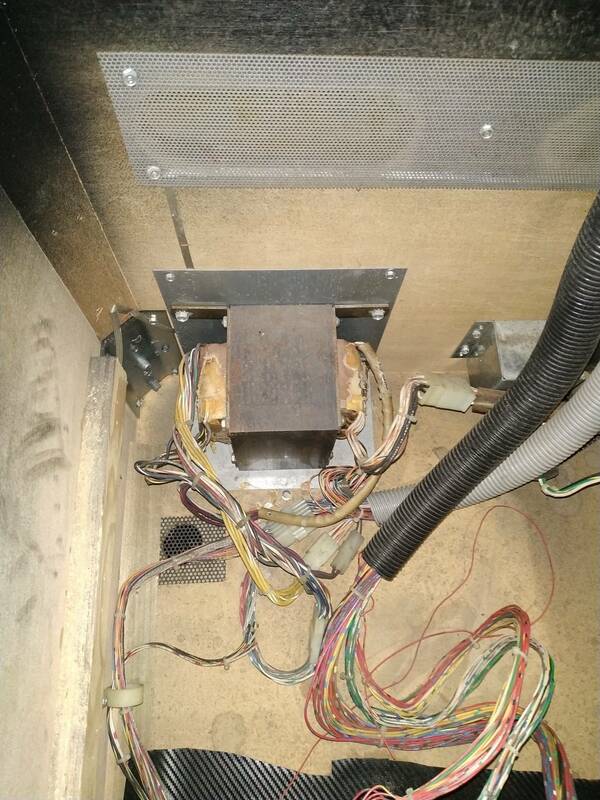 The problem is you don't know if it's the right coil or not for where it is located without reading the wrapper. I suppose you could test it somehow and determine that, or take a gamble that it's the original coil. My thought would be to replace it with a new one, and while you're at it, print a wrapper for it that properly labels it for future reference. My game is HUO all original coils. They all have white bobbins. 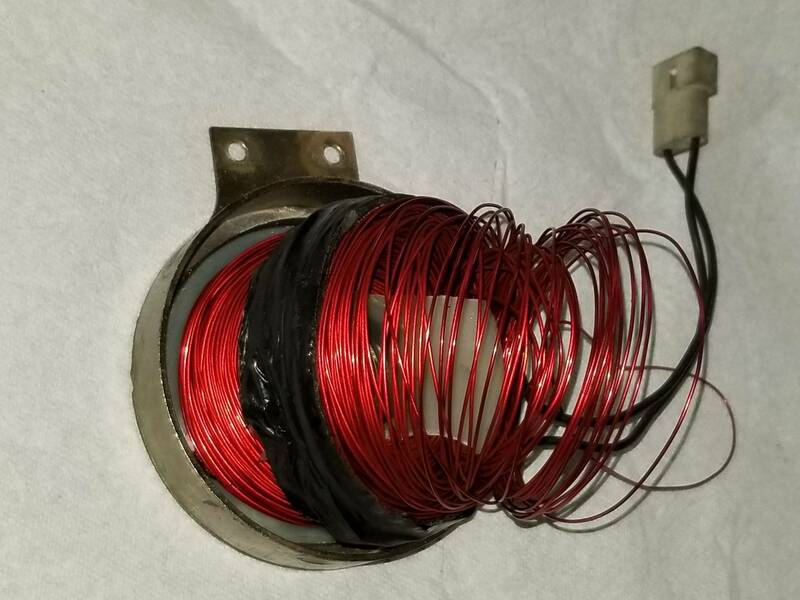 It sounds like an older replacement coil was installed at some point. Besides the false Trunk error thing, yes, the motivation was some tweaks to scoring and progress ment to make the game better for competition play. All these tweaks may be turned off by four new feature adjustments introduced. Except the tournament play Basement awards scheme. Which is progress to Illusions or Clock. Not just 15M. Added to this an outlane saver backup like they made on TOTAN. Which I believe will suit everyone. That can't be. Eliminating those hits are the essence of the Leon solution. Balls going into the Trunk, yes. Ball "hits" to the proximity sensor in front of it, no. Is it possible to describe by what patterns exactly this motor is running. I might consider adding it. But the patch will still be rooted in 1.3X. Hmm, interesting. I’ll do some “glass off” research and report back. I’ll admit that there is a good chance I could be wrong. I would (and many) be all over this if you added it. You’ve already done excellent work... this would just make it a no-brainer. Hello all - first time poster here on this thread/club. 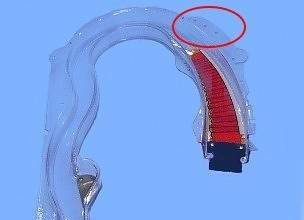 I have a ToM mod question but my usual Facebook groups and PinballPro.net customer service are unable to offer any suggestion or guidance. 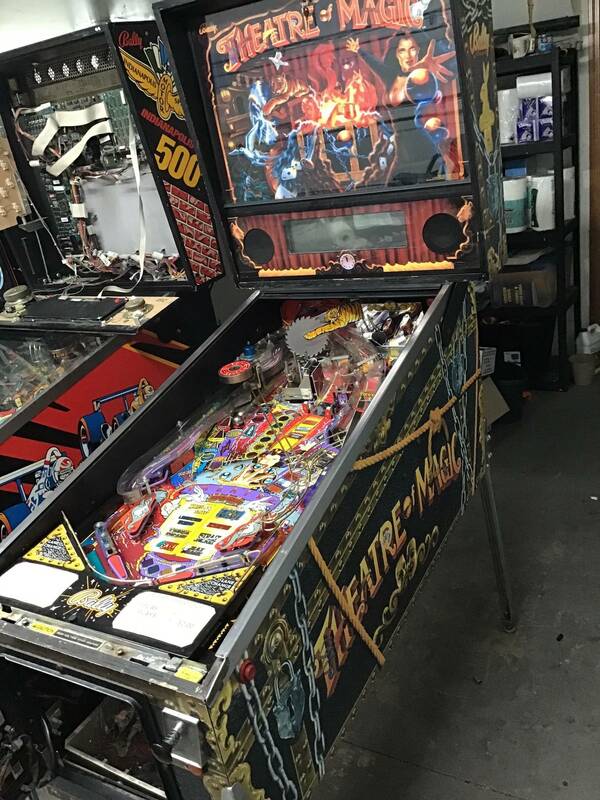 I've added a power supply to the machine to power the topper as well as the PinballPro.net Tiger Saw & Lighted Marquee mirror. The Saw motor and Marquee lights are, of course, triggered by game code. Can I just move the TP1 positive 12v DC power tap, as well as the ground wire connected to the PCB screw mount, to the power supply? And then it's powered by new power supply but still triggered by the game appropriately or will I blow the game and the new power supply? The two wires I'm referring to are pictured on page 3, middle right, of the included link. So far I cut the TP1 alligator clip and wired it to the power supply 12v DC. No saw motor, no marquee lights. Something told me to stop with the trial and error at that point. Do I just move the ground wire to the negative on the power supply? Topper lights powered off Power Supply is working perfectly, at least Game plays nicer without topper/saw/marquee power taps in my opinion. TIA, everyone!! I should add... This was turning on elements of the software that was already mostly in the code but disabled prior to release of the game for cost savings. There is some discussion of it somewhere online at the time 1.4H was released. I am pretty confident. It would just be nice with some user experience for reference. All I know is that it closes at Pin 3 on J125 to activate and deactivate the saw in software. 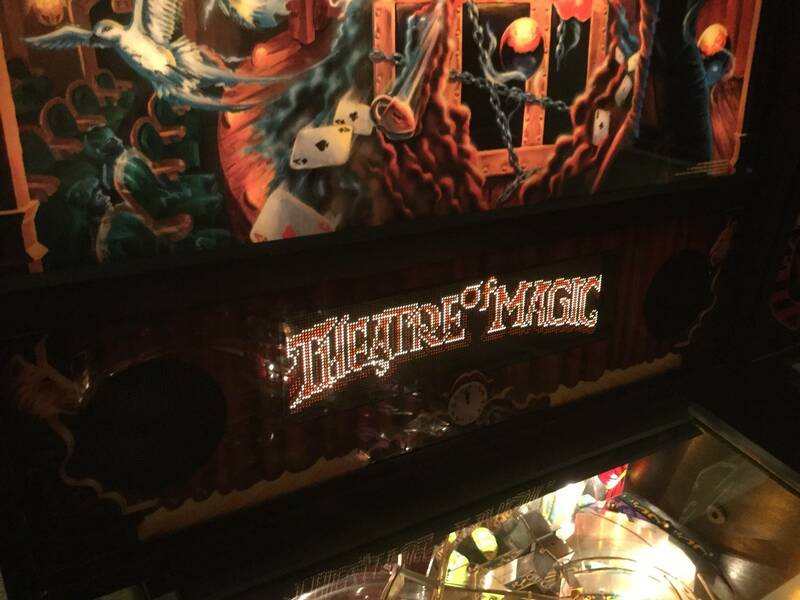 I believe it not only spins during the Tiger Saw illusion, but also during Tiger Saw Multiball. Finally, at any point in the game when you hit the captive ball, it pulses the motor as well, though I don't know why, you can barely see it. Alternatively you could find Louis Koziarz who gave the world 1.4H in 97. This is interesting. Thanks. Maybe the motor/mech used in prototyping this did some more spins on these short pulses. do you know which transistor corresponds to the magnet from the trunk? I've just bought a new main-stairs plastic ramp and are transferring over switches, posts and so on. 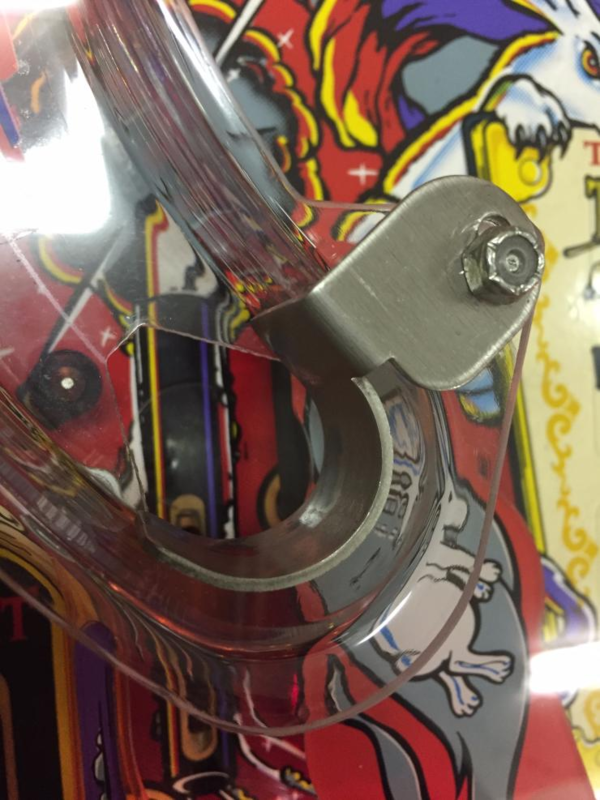 I noticed the new ramp have three holes for three playfield posts (the tiny "triangle" shaped posts) in the first bend after ramp entrance, but my old one only had two holes/posts mounted. Also, my old ramp didn't have any rubbers on those two posts. I tried googling for pictures but as the other ramp passes over this one right there its really hard to see the posts below, so I can't see properly. 1. 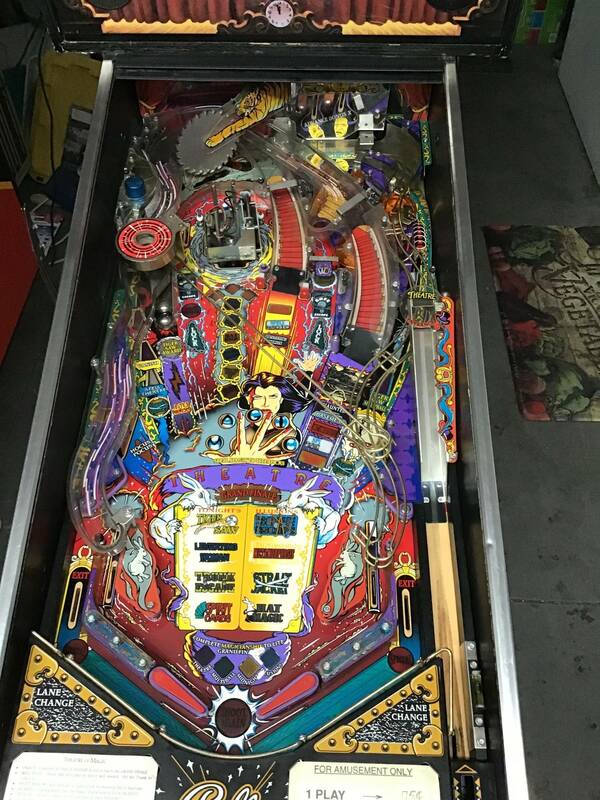 Should there be two or three playfield posts in a row in the first bend to the left ? 2. No rubber rings or rubbers on those posts? I've just bought a new main-stairs plastic ramp and are transferring over switches, posts and so on. I noticed the two posts (the tiny "triangle" shaped posts) in the first bend after ramp entrance didn't have any rubbers on them and started to wonder if this was correct or not. I've tried googling for pictures but as the other ramp passes over this one right there its really hard to see the posts on any pictures. So, rubber or no rubber on those two posts at the ramp underside? I just dissasembled the whole trunk, cleaned the gearbox and added Leons hw fix. Now after reassembly I think I got everything back but it feels like the trunk test only rotates the box 95% of the times. How do I "calibrate" the trunk? 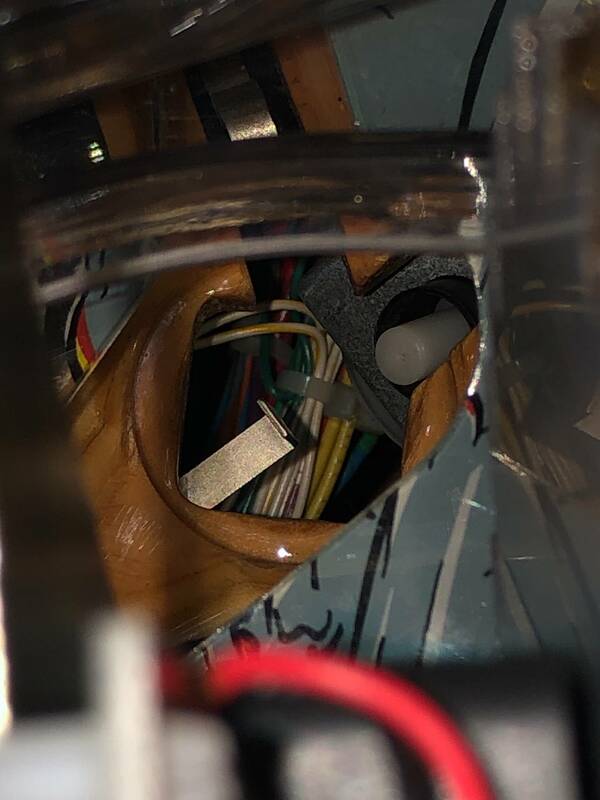 Am I supposed to mount the open slot in the opto interrupter facing the same opto the trunk opening is facing? I cant find any info in the manual or in Google about this. There is not calibration to the Trunk. It has four home position and stops at either of them precisely. The four switches must work. And the motor must be able to drive the Trunk in both directions. And the correct direction. At a anticipated speed. If this is go. And working reliably. Then it works. All optos/switches works, tested them manually without the interrupter in place. The card is a brand new PindoraBox board and shouldn't have any problems to it. I noticed that the shaft the trunk sits on have 1-2mm "flex" to the sides before actually turning, probably the gears in the gearbox are worn (didn't see it when I cleaned the gearbox though). If I move the trunk a tiny amount to the sides the switches would detect this and show correct opto states on the DMD while in the trunk test. My solution was to use a tiny metal file to widen the gap in the interrupter with another 1-2mm, this make the optos to register properly even with the tiny flex present. The trunk now turn to all sides and the switches show correct states as they should. All optos/switches works, tested them manually without the interruptor in place. The card is a brand new PindoraBox board and shouldn't have any problems to it. My solution was to use a tiny metal file to widen the gap in the interruptor with another 1-2mm, this make the optos to register properly even with the tiny flex present. The trunk now turn to all sides and the switches show correct states as they should. Are you using the new aluminum opto interupter? Yes I am. The interrupter would probably work without any modifications if I didn't have that tiny sideways "flex" on the shaft movement. 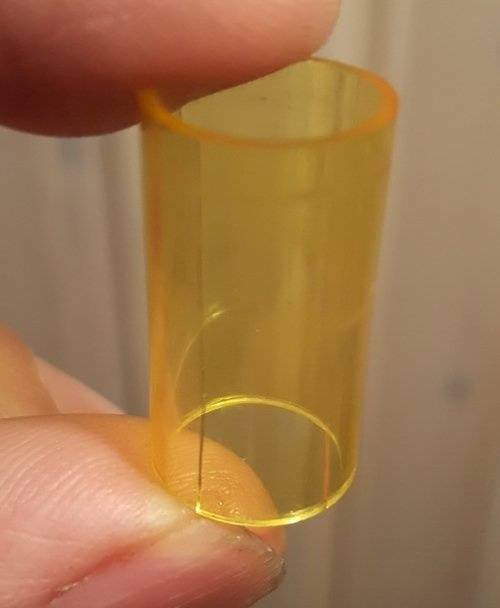 While cleaning the cabinet I found this plastic tube, transparent yellow, lying loose at the bottom behind some cables. Is it supposed to go somewhere in the game or just crap I can throw it away? Don't recall those being used on ToM. Typically see them on older EM games! Thanks, no I had no idea, never seen one before. I don't think I've studied any EM game up close, or even played one. Is it supposed to work as the rubber "condoms" and color the light somewhat or to protect the bulb from ball hits? 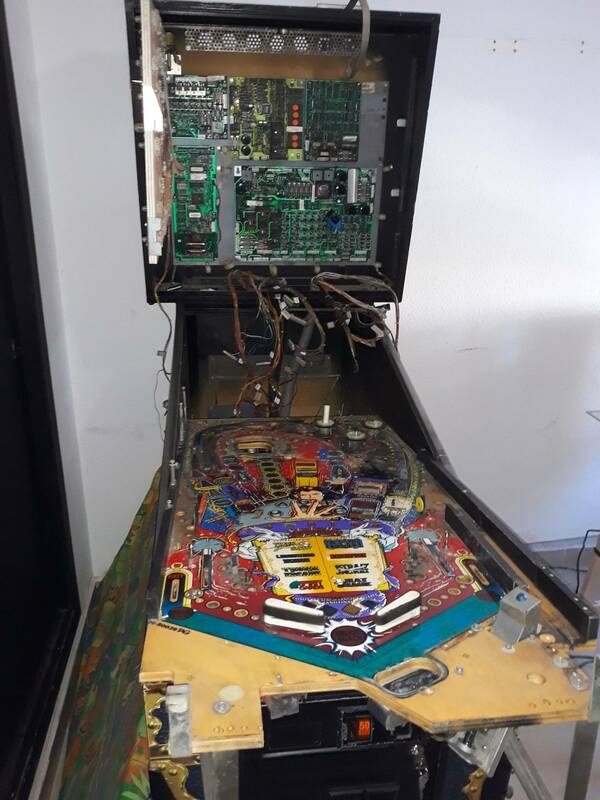 Like the condoms .... most of the games I have seen them on they're red, like the ones Marco sells https://www.marcospecialties.com/pinball-parts/C-615-R, but I have also seen clear ones like you pictured. Seen numerous ones where they were originally red but over time the color was lost so they were a dingy yellowish color. Another thing; my trapdoor seem to behave strangely. It eject balls coming from the trunk just perfectly, but if I get the ball down the open trapdoor hole then nothing happens. After a few seconds the game goes into ball search and soon it will open the trapdoor about halfway and no ball coming out. This ball search continues for 2-3 tries (where trapdoor opens halfway) and sooner or later the trap will open fully and the ball comes out and I can continue playing as nothing happened. The switches seem to work fine in switch test (maybe an intermittent problem that I'm unlucky to miss in the test?). 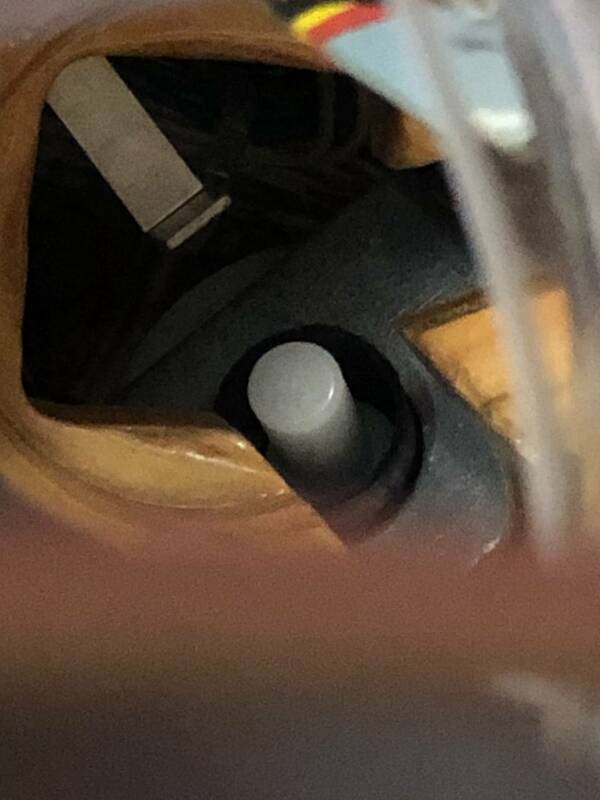 Should I try and change the switch with the Y shaped blade above the ball popper coil, perhaps it's not detecting the ball falling down the hole properly? Oh btw I'm still running ROM v1.2 (I've got the 1.3 something lying around but haven't swapped it yet), any chance this could be fixed with a later ROM? Today the switch 44 (popper) no longer works in the switch test, so It's the switch that's broken (or the diode on it); the cables are soldered properly.